A Zeiss LSM 510 Meta, mounted on an inverted microscope frame. Equipped with a 30mW Argon ion laser (lines at 458, 477, 488 (blue) and 514nm), a 1mW 543nm (green) HeNe laser and a 5mW 633nm (red) HeNe laser. 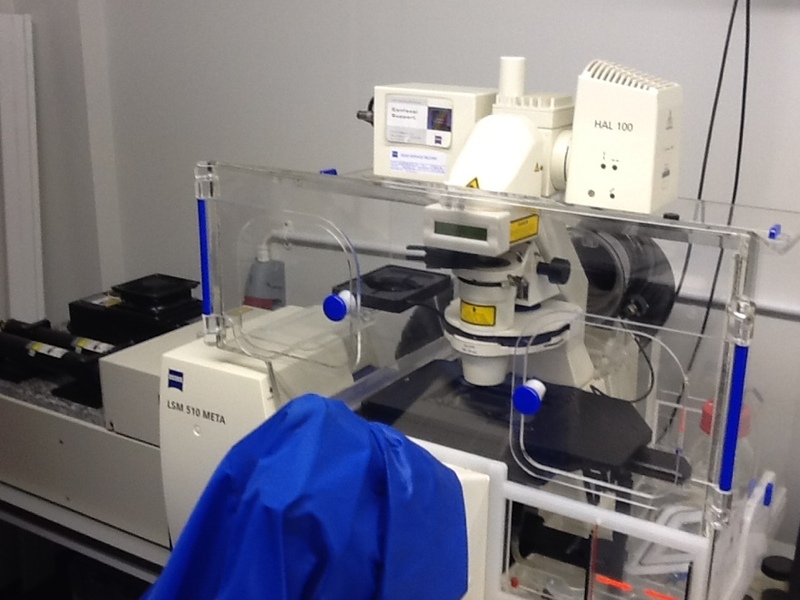 The 510 has a full temperature, CO2 and humidity controlled incubation system allowing for extended time lapse imaging of live cells. The microscope control computer system was upgraded in 2012 and now runs ZEN software.